WISE SHOWCASE PLAN TO END OPEN DEFECATION AND CHILD MORTALITY IN TUDUNWADA COMMUNITY, LUGBE, FCT, ABUJA. 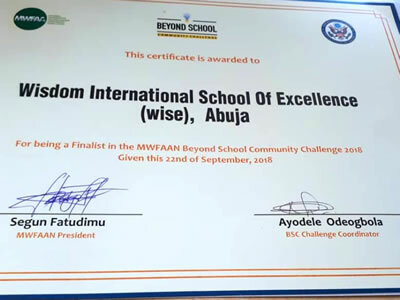 Wisdom International School of Excellence (WISE), Tudunwada was the only Abuja Based School selected for the 2018 BEYOND SCHOOL COMMUNITY CHALLENGE (BSCC) organized by the Mandela Washington Fellowship Alumni Association of Nigeria (MWFAAN) for all secondary schools in Nigeria. The three months selection process was rigorous and very competitive. WISE was finally selected to develop a community intervention to solve problems in the school-community. 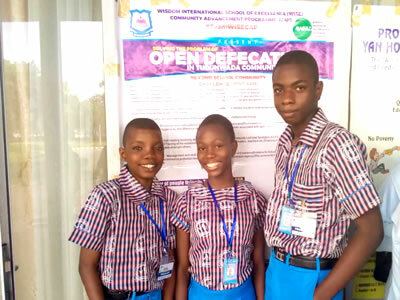 Three problems were initially identified but open defecation was finally selected as the main problem leading to child mortality and associated problems in Tudunwada community. Tudunwada is an urban slum and shanty with over 30,000 people with majority living below the poverty line. Three students were selected to be the project manager to be mentored by a teacher in the school. The project concept was developed, followed by a proposal and stakeholder interview process. Partners that can work with the children were also identified. 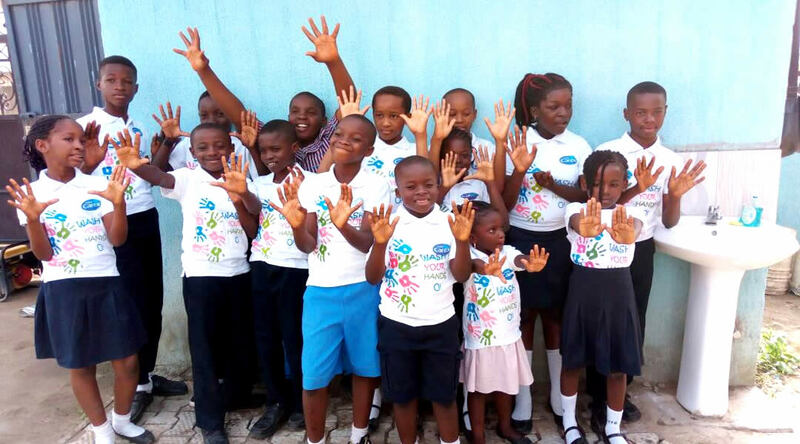 The student planned to organize community meetings, trigger the community through Community Led Total Sanitation, campaign for the construction of household toilets and the construction of two public toilets. 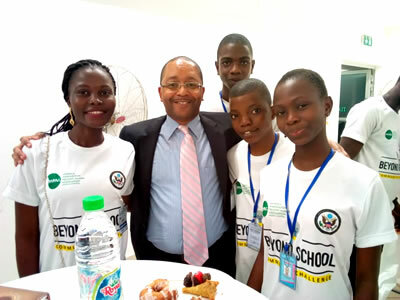 The programme of events for the Beyond School Community Challenge started on the 20th of September where all the ten (10) schools in the final completion met in a hotel in Abuja. 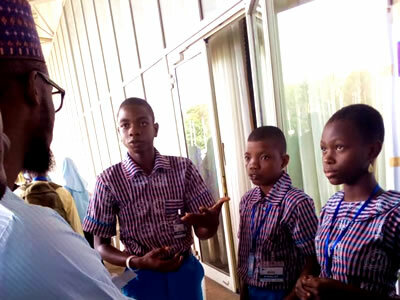 The children were taken through different trainings, visitation to important places in Abuja such as the Meldor Eye Clinic, Wuse II, Ventures Park, exhibition pavilion and reception by the US Embassy. The actual project presentation and pitching was at the International Conference Centre, Abuja on Saturday 22nd September. The students from the ten schools displayed their project in a poster and presented it to guests and investors. They also presented through PowerPoint. It is interesting to note that our students were the youngest in the competition. While other schools presented students from SSS 1-3. Our school presented children below 13 years in JSS 2 classes. WISE children presented their Community Advancement Project (CAP) with the name WISECAP. The team was also called TeamWISECAP with the #TeamWISECAP. The presentation was well received and applauded by guest and investors at the event. Two investors and a government staff promised to visit WISE to support implementation of the project. Our next step is to start community meetings and implementation of the project. We would also continue to work on other Sustainable Development Goals (SDGs) to address community problems. 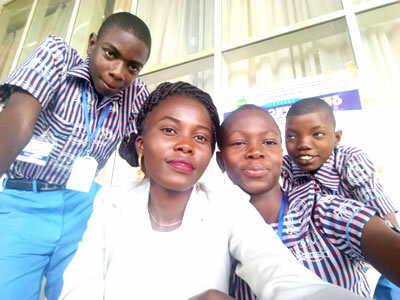 We say congratulation to our three Champions - Esther, Andrew Daniel and Yusuf Tomisin with the support of their facilitator Mrs Adeola Adekoya.